Check out events and fun things to do below. On June 23, 2017, the Tonawanda Valley Kennel Club will host a junior handling seminar and a pee wee special event. Check out this AKC link for information regarding the pee wee class: www.akc.org/events/junior-showmanship/pee-wee-guidelines/ Application/information about both of these events will be included in the all-breed show premium list which will come out in May. A copy of the premium list will be posted on the home page and this page when it is available. 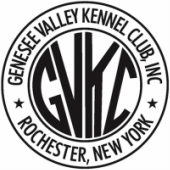 The Genesee Valley Kennel Club, is hosting Barn Hunt events. These will be practice sessions, rat-n-go, seminars, etc. Barn Hunt is an event in which the dog and handler run separately through a course and there is no age limit on the exhibitor nor is there any limit for the dog (e.g. does not have to be a purebred). This will be an opportunity for children to do a real fun event with their dog. See the Barn Hunt page.